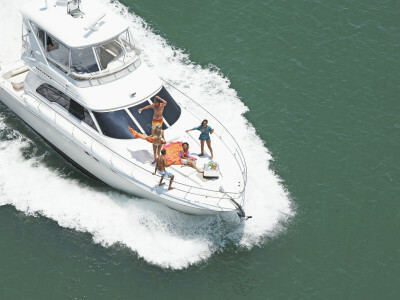 Land Ahoy – Explore the Med in Style! Golden beaches, skyscrapers and beautiful Mediterranean babes – Barcelona’s coast has it all! 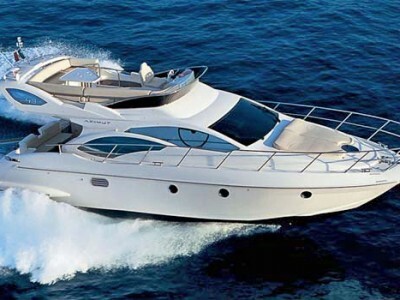 If you and the guys want to check out the coast in style during your stag do in Barcelona, this private yacht charter is the perfect option for you. You will be welcomed aboard with a complementary drink and your voyage will begin. 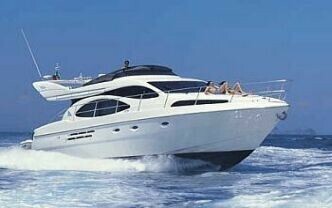 On your amazing two-hour trip you will be able to take full advantage of everything that the Mediterranean Sea offers. Golden sunshine will bombard your boat and you will be able to hop into the cool blue waters to cool off and see the glistening Barcelona skyline across the water. You are free to bring along your own drinks and snacks, so you can cater the experience to your own tastes! You will also be able to bring along your phone/mp3 player and hook it up to the yacht’s sound system to get the party pumping. We take care of all the equipment and insurance, so you and the guys can focus on having fun! Fees for fuel and mooring are also included in the price. Don’t forget your towel, swimsuit and sun cream! Flat shoes are needed, with soles that won’t make a mark on the beautiful yacht!